Kluckingbear: Simplicity Found...in a granola bar, no less! 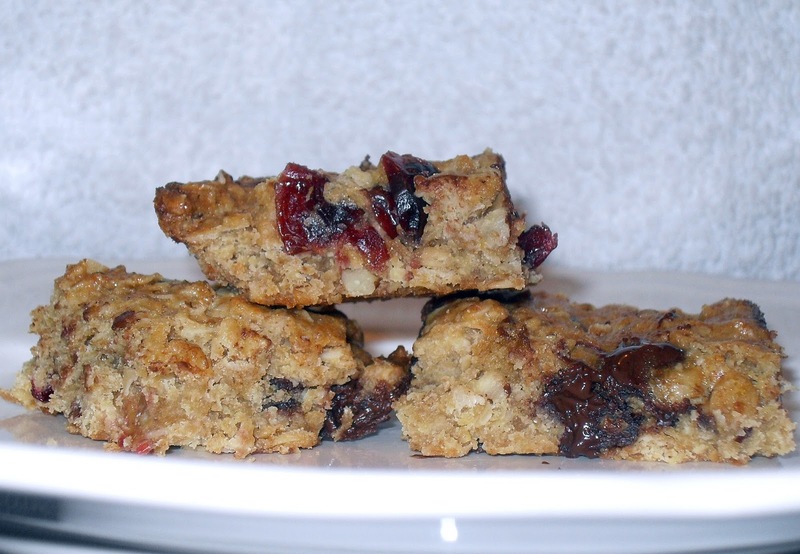 Simplicity Found...in a granola bar, no less! 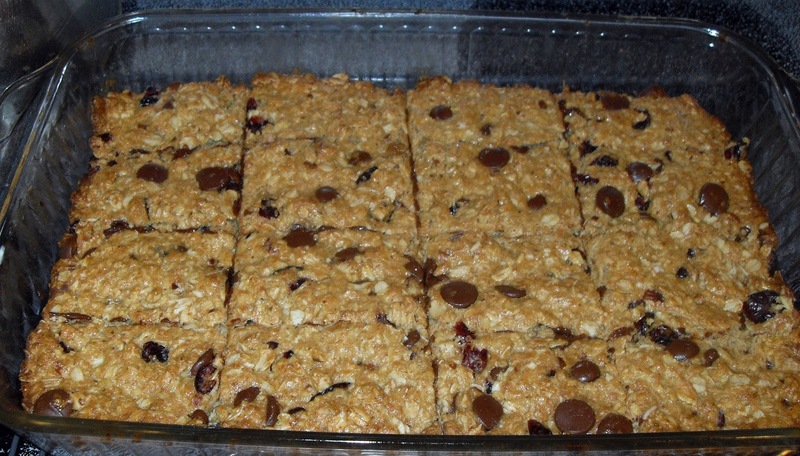 It's a windy baking today, so I thought I'd give this granola bar recipe from Searching Simplicity a try﻿. 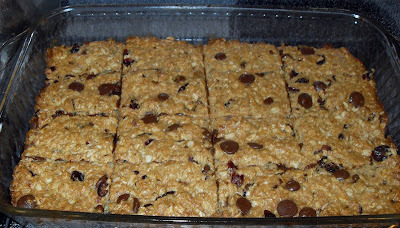 I used dark chocolate chips, cranberries, and finely, finely chopped pecans (so fine the kids don't know they're there), and omitted the cinnamon in my version. They smell sooooo wonderful coming out of the oven! Giant oatmeal cookie goodness aroma! 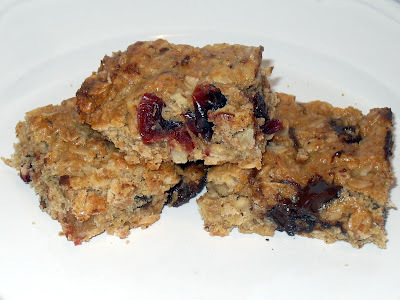 Jenna is right...these are far and away better than store bought granola bars. I can't wait to try other variations. These are perfect for the swim meet this weekend. Healthy, but with plenty of kid appeal and easy to pack. Thanks so much Jenna! Everyone else...Go get that recipe now and give it a try. She even has a wonderful heart shaped version for Valentine's Day.